This is one of my mother’s recipe, recently revived by my sister Terese. Today we keep a fridge full of bottles: sauces, marinades, dressings and condiments but back in the day, my mother made things from scratch. Maybe we all should try to go back the simple way of cooking without all the additives and preservatives. Combine all ingredients for sauce in a blender and blend for 3 to 4 mins until creamy, pour into a jug, cover and chill for 25 to 30 min. Makes 3/4 cup. Get ingredients for salad and in separate pans of boiling water, cook potatoes and beans for 12 to 15 min. Drain potatoes, peel and slice thickly and set aside to cool. Drain beans and set aside also to cool. Meanwhile cut the bacon into small chunks and cook in pan until crisp. Lift out and drain. Heap the beans into the centre of a salad bowl and arrange potato slices around the edge. Scatter bacon and chopped onion on top. Drizzle vinaigrette sauce over the vegetables and cover and chill for 20 to 25 min. Sprinkle with parsley and serve. I had a sprinkle of Dried Black Olive Seasoning on a restaurant entrée recently and thought ‘how interesting’ and ‘why hasn’t anyone thought of this before’. Well maybe it is not a new concept, just a new experience for me, but this extra level of texture and flavour to my salad, has lingered on my palate. Place olives in a food processor and process. Spread paste thinly onto baking tray lined with baking paper. Bake in 200 C (180C fan forced) until olives are dried (30 – 40 minutes). Use a fork to break up olives during baking time. Use as a sprinkle over pasta, salads or incorporate into a cracker dough. This recipe is very flexible and can be eaten as a warm or cold salad. Add a small can of tuna, sliced poached chicken, left over roast: the variations are limitless. In a large bowl, combine vegetables, oil, ground coriander and cumin seeds and toss to coat. Dry roast the pepitas and sunflower seeds. Prepare quinoa according to instructions on packet (rinse quinoa, place quinoa and 1 cup of water in small saucepan and bring to boil. Simmer for 12 – 15 minutes or until water has evaporated and quinoa is al dente). Combine quinoa and roasted vegetables and nuts. Serve on a bed of spinach and top with fresh coriander. Chicken Wings and Drumsticks are versatile with all glazes easy to prepare. Perfect as a starter at a bbq gathering or as a meal when combined with a salad*. Combine ingredients and marinade chicken wings or drumsticks for 2 – 4 hours. For glazes with jams, combine ingredients in a small saucepan and heat until smooth. Place chicken on baking rack (sprayed with oil) over an oven tray lined with baking paper or a disposable alfoil tray. Every 10 minutes brush chicken before turning, with marinade. Cook in 180 C oven for 40 – 50 minutes. 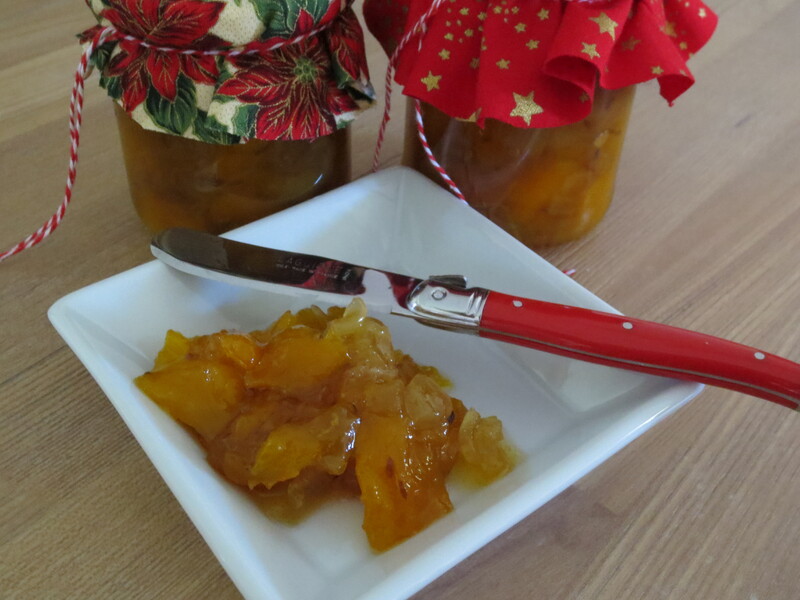 It is mango time of year again and while I am a staunch advocate that the only way to have a mango is fresh and cold, I thought I would have a go at making a mango chutney. Mango chutneys are my father’s domain and over the years he has made hundreds of bottles giving most of them away. But age catches up with one’s parents and so I thought I would make this recipe on his behalf. Sterile jars and lids and allow to dry. Place all ingredients in a large heavy based saucepan. Reduce heat to medium-low and cook, stirring occasionally (be careful not to break up mango chunks) for 1 hour or until mixture thickens. Remove from heat. Carefully divide hot chutney between sterilised jars and seal. Turn jars upside down for 2 minutes. Turn upright and set aside to cool completely.